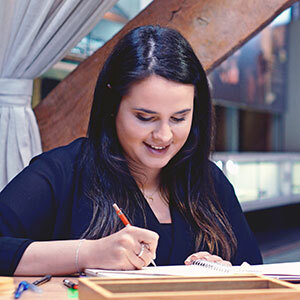 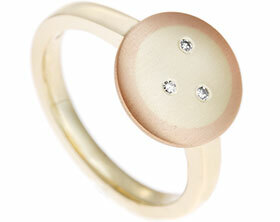 Joanna inherited two rings from her grandmother and also had another which she bought from an antique shop. 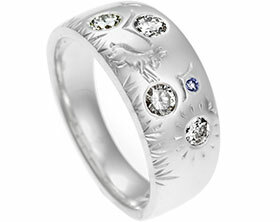 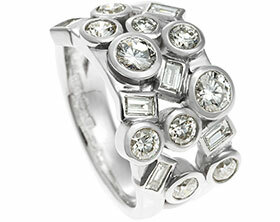 Unfortunately, she rarely wore them and therefore wanted to incorporate all of them into one dress ring. 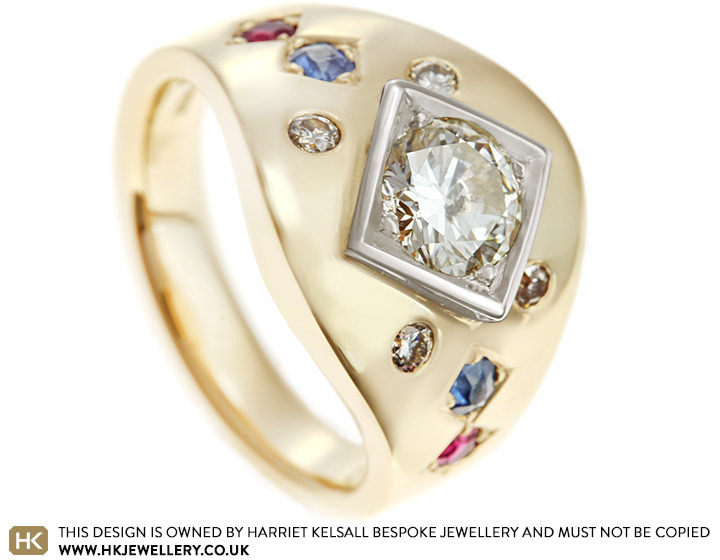 Always being drawn to chunky jewellery Joanna wanted a design that was large but wearable daily. 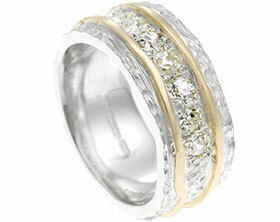 To accommodate this, this chunky 9 carat yellow gold design tapers towards the back ensuring it is comfortable for the wearer. 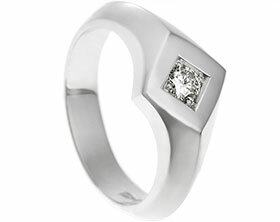 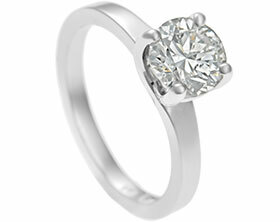 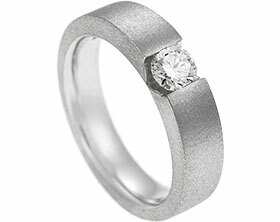 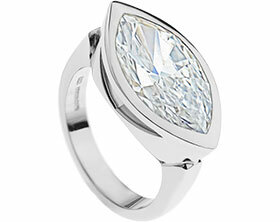 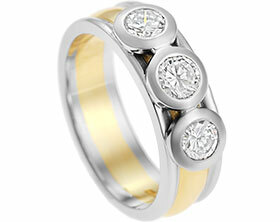 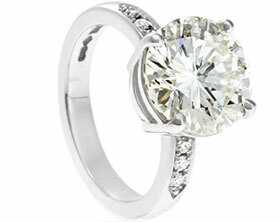 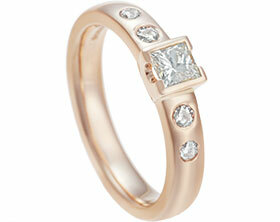 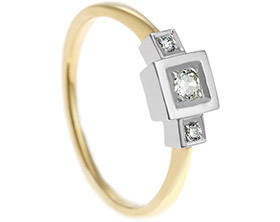 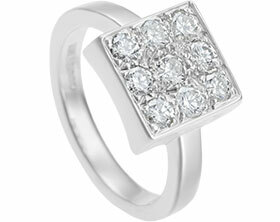 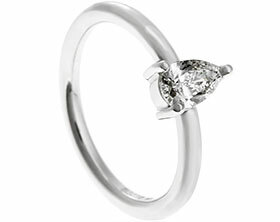 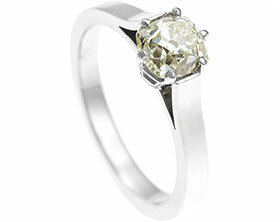 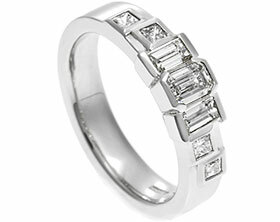 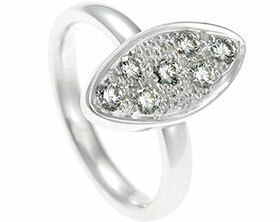 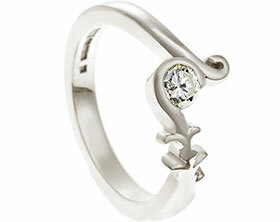 At the centre of the design sits a square 9 carat white gold plate holding the central brilliant cut diamond. 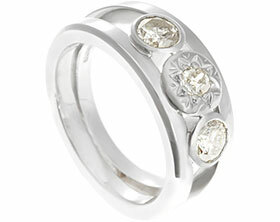 On the shoulders are invisibly set sapphires and rubies in a scattered formation- all taken from Joanna's previous rings. 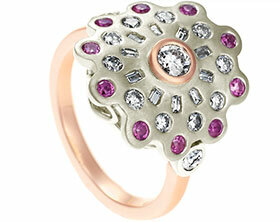 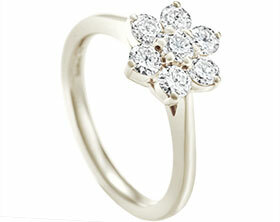 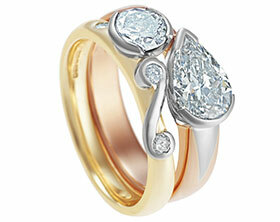 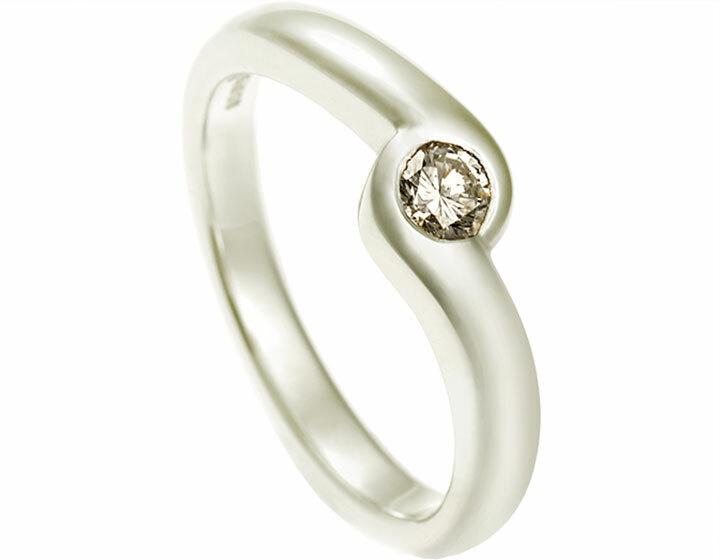 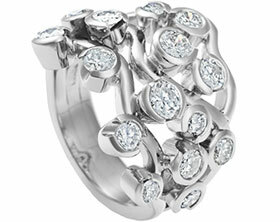 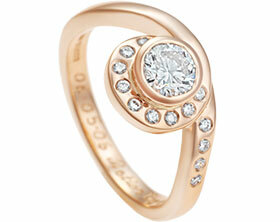 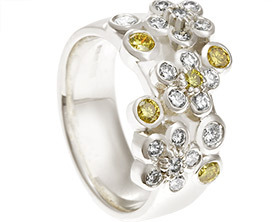 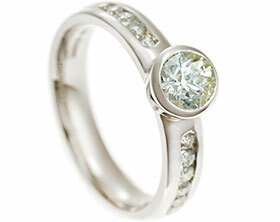 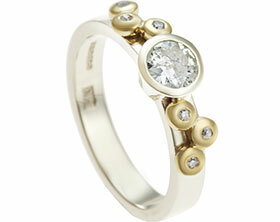 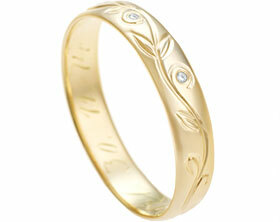 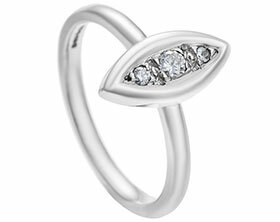 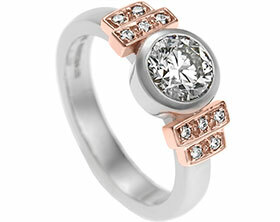 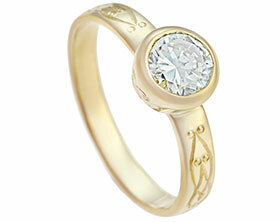 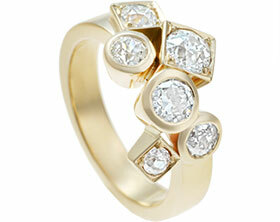 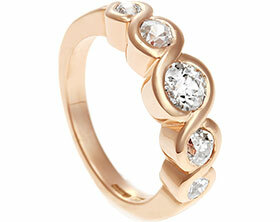 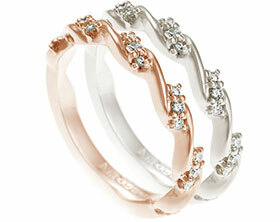 This has given her rings a new lease of life and a fresh modern appearance suitable for generations to come.